How to Write a Linguistics Dissertation? Linguistics is principally used to study about the language and the structure of the language, that includes the syntax, pragmatics, semantics, grammar and phonetics. It has further branches that explicate its areas of study more clearly like; comparative linguistics, applied linguistics, structural linguistics and psycho linguistics and so on. Ultimately, linguistics is a proper discipline studied in the universities all around the world. It is related to English similar to English literature. As students used to study about the genres of literature in English literature like; poetry, prose, drama, plays and so on similarly, in linguistics you study about the semantics, pragmatics, general linguistics, ESP, and ELT and so on. In every university students are supposed to write a thesis or dissertation at the end of their degree by hiring dissertation writing service providers. It is the important part of their study so, they are invented to focus on it very keenly. There are certain points that are very helpful for students to write their thesis and dissertation in the field of English linguistics. First of all, like every thesis write-up you are invented to do a lot of research into it as well. After selecting your topic, you are supposed to do more research. But in linguistics your topic of dissertation ought to be more creative, innovative and practical. Your research should based on logical argument and themes. Secondly, you are supposed to write a proper question of your research, objectives of your study introduction, literature review and theoretical framework. Similar to the English literatures’ dissertation. You are going to explain each and every thing related to your questions and background of your study as well. Thirdly, you are going to talk about the mainframe of the analysis. It’s all about your research that what you have done in your research? You are invented to make questionnaires in your research. You are also supposed to conduct interviews related to your topic and research questions. Your questions should be relevant to your topic statement. You will add all these details in your methodology part. Fourthly, you will make table and add calculation about your questions. You will also calculate the percentage of positive and negative points in that. Your calculations will completely depend upon research that you have done and collect data from others. Next step is to make pie-charts and diagrams to mention all the percentages of the questions separately and accordingly. After many observations and experiments you will make a proper hypothesis of your dissertation. Finally, you will collect your results from the calculations. At the end of the complete dissertation write-up, you are supposed to write a conclusion about it. You are ought to be very much cognizant about the use of proper language, grammar and sentence structure in your dissertation write-up. 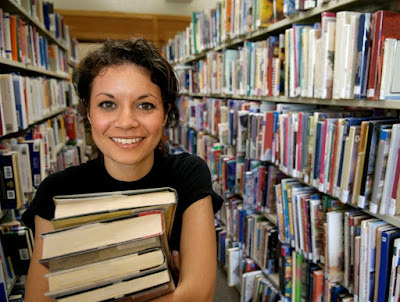 You will have to use academic writing style in your thesis. You are not supposed to copy anything and paste it directly to your work. You will have to search authentic data from books and articles and will paraphrase it or paste it with in-text citation. Your work should be very inventive, original and plagiarism free.